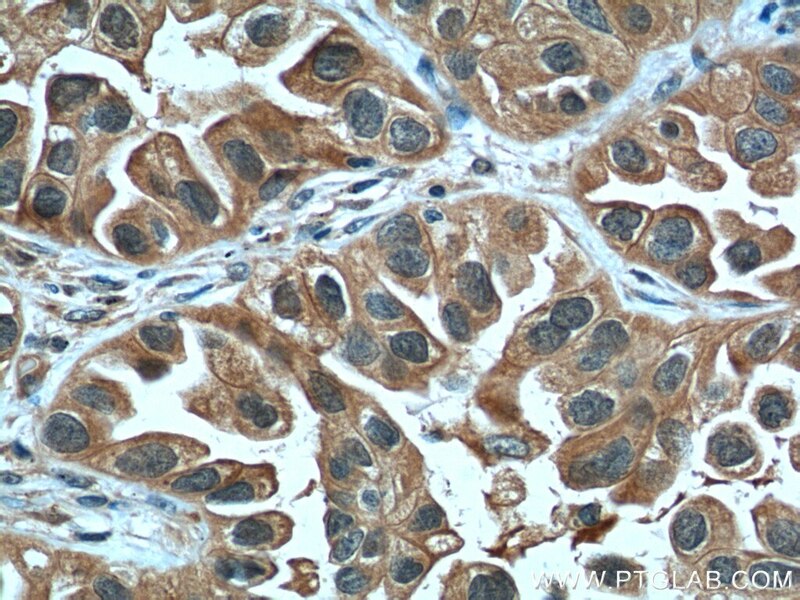 Immunohistochemical analysis of paraffin-embedded human lung cancer tissue slide using 26757-1-AP( LIF Antibody) at dilution of 1:200 (under 10x lens). heat mediated antigen retrieved with Tris-EDTA buffer(pH9). 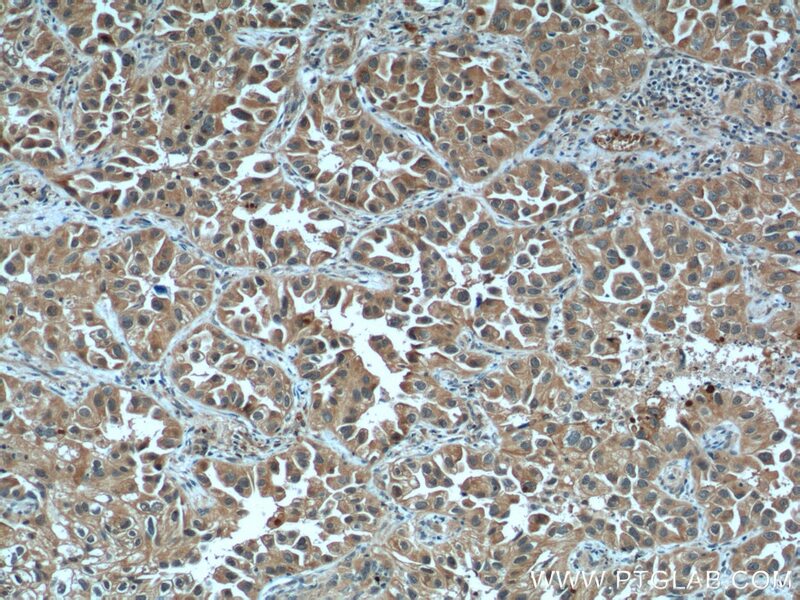 Immunohistochemical analysis of paraffin-embedded human lung cancer tissue slide using 26757-1-AP( LIF Antibody) at dilution of 1:200 (under 40x lens). heat mediated antigen retrieved with Tris-EDTA buffer(pH9). LIF is a pleiotropic cytokine with roles in several different systems. It is involved in the induction of hematopoietic differentiation in normal and myeloid leukemia cells, induction of neuronal cell differentiation, regulator of mesenchymal to epithelial conversion during kidney development, and may also have a role in immune tolerance at the maternal-fetal interface.